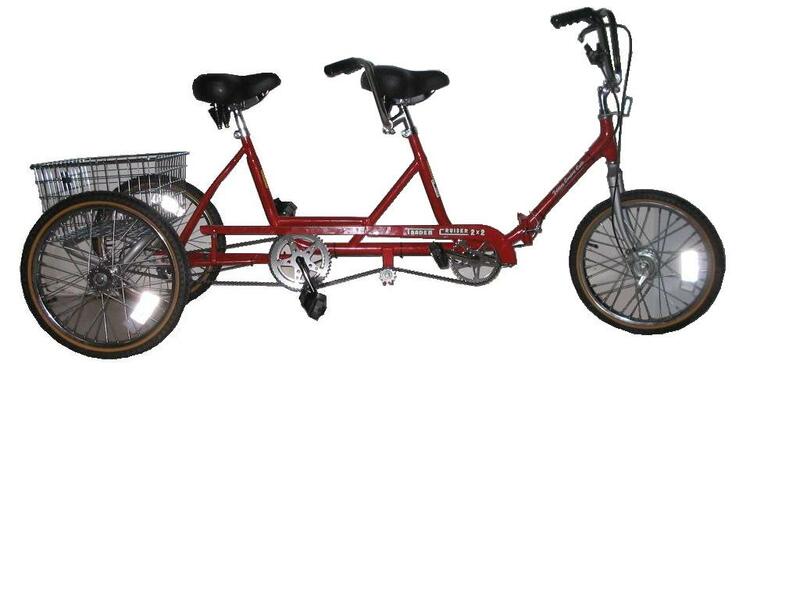 Unlike conventional tandems, the Team Dual Trike lets you sit next to your partner, so you can really share the riding experience. 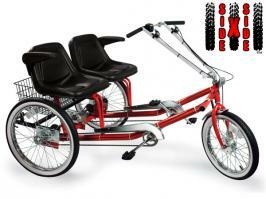 It allows riders of different size and ability to ride together, but at their own pace. With twin independent transmissions and a split rear axle, each rider turns their own pedals! One can rest and the other can still pedal and go! It takes a TEAM to ride a TANDEM.